Libyan delegation enquired about assets: Gordhan - SABC News - Breaking news, special reports, world, business, sport coverage of all South African current events. Africa's news leader. According to the report, Libyan authorities have approached President Cyril Ramaphosa in a quest to recover the money estimated at around 50 million US dollars. He was speaking on Monday to the media on the sidelines of an economic dialogue in Vredenburg in the Western Cape. This follows a weekend newspaper report that millions of dollars belonging to the late Libyan dictator, Muammar Gaddafi, were hidden at former President Jacob Zuma’s Nkandla residence. It also alleges that the money was secretly moved to Eswatini earlier in 2019. 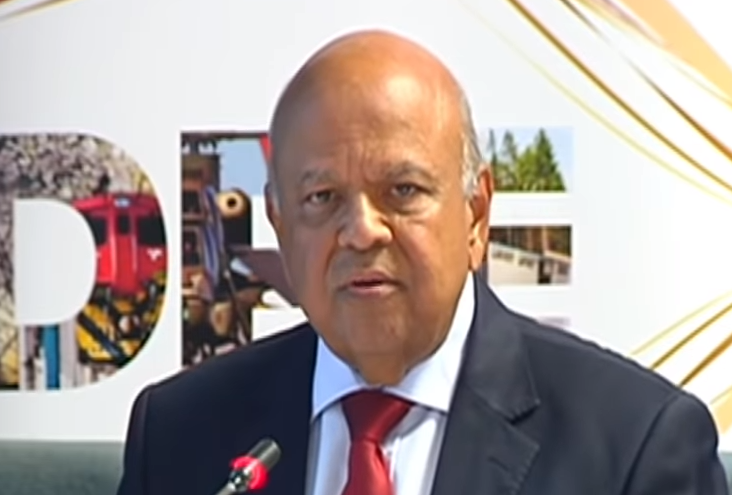 Gordhan says the inquiry was made while he was the Minister of Finance. “There were one or two delegations of Libyan government officials that come to the Treasury but that was the time when governments were changing quite frequently and they were enquiring about Libyan assets here as the fact that what we heard on Sunday Times yesterday we were not aware of that,” says Gordhan. This entry was posted on 09 Apr 2019,05:53AM at 5:53 AM and is filed under Politics. You can follow any responses to this entry through the RSS 2.0 feed. Both comments and pings are currently closed.